Many people who venture into the online business world usually have skewed expectations about the results of their business. Many believe that they will begin to see results, namely make lots of money, in the first few days or weeks. When they don’t see a dime, they get disappointed and either quit their online business entirely or move on to another project. Sadly they have the same ‘make-a-quick-buck’ mentality with the new project and the results end up being the same. It can become a vicious cycle. I have to admit that I too, am guilty of having false expectations of starting an online business. When I first started, I dabbled with a few ideas. But nothing really panned out – because I did not give my business time to grow – I didn’t put in the time, effort or get the right training. It is typically understood that an ‘offline’ business takes about five years to really grow. So it should not be any different with an online business. Following my adventures or I should say, misadventures, I decided to become focused and go for the long haul. But even then, my expectations were off. After 6 months of doing affiliate marketing on a part time basis and with no spending on advertising, I felt frustrated that I was not making any money to talk about. If I knew then what I know now, I would have stuck with it for a few months longer. In fact, by the 8th or 9th month (and that’s after I threw in the towel – thank God I didn’t delete my website), I started to see real traffic coming from organic searches. What I did not realize then, was that by following the tried and tested systems that Wealthy Affiliate had developed, systems that I learned through their training program, I had laid a solid foundation for my business to thrive. As the old saying goes, “Rome wasn’t built in a day”. Basically, the foundation I had laid by creating a wide range of quality content around long-tail keywords began to pay off. I had used keywords that were low hanging fruits that I researched using Wealthy Affiliate’s Keyword Research Tool – by far the best keyword research tool for SEO. This was a system that has proven to work time and time again in my now, three online businesses. I never regretted investing in keyword research. The system I used and that many successful online entrepreneurs use, is to build frequent content around keywords with regular monthly searches but with low competition (that is, few competing websites using the same keywords – low hanging fruit). These keywords are significant enough to start bringing in traffic. All of my posts and pages were developed using this system that was tried and tested. I simply enter a possible keyword term around an idea I have for an article, post or page, of course using the best keyword research tool for SEO, then let the keyword tool show me the results. If there are more than 100 searches per month for that keyword and fewer than 100 competing websites are also using that exact keyword, then I know that it’s a green light to go ahead and use it. Some suggest that you can use it even if the competition is below 200. But fewer is better. I keep refining unlit I get exactly what I’m looking for. If you build your posts in this manner then traffic from organic searches will begin to build over time. This is not a quick win but a long-term strategy that will definitely work without fail. Imagine having 100 posts around low competition keywords with sufficient monthly searches. Imagine also, that you get basic traffic for each post, let’s say 2 visits per post/page per day (very conservative). Do the math. That’s 200 visits per day or about 6,000 unique visits per month. Wouldn’t you like to get 6,000 unique visits per month? Now, if you have 200 posts, then that’s 12,000 visits and so on. So keep building content around well-researched keywords. That’s a proven system that works. I was new to affiliate/online marketing and thus, was unaware of the gold mine I was sitting on. Now, that I am a more seasoned online marketer (still learning), I work the system consistently and the results are a testament to its effectiveness. Building your online business is about working systems that work for you. So, don’t quit your online business or blog just because you’re not seeing traffic or money in the first few months. I’d advise you to stick it out. Build your systems and work them. Content optimization strategies – Build regular, high-quality, and helpful content. Conversion Optimization – set up your website to make visitors want to buy from you. The training I received on these systems came from one of the most reputable online business training communities in the world – Wealthy Affiliate. I am now at the bootcamp and saw your webbsite…good job. You are in your way to success. I am still learning but hopefully I could also built a nice website.. Thanks a mil. It takes time. But with the right foundation and systems everything will fall in place. This is my second website. False expectations are created for people who want to promote their product without adding any value or setting long term business goals. It is sad to see too many people give up after a while because they give up their dreams. Thanks for sharing a long term strategy to start an online business and being honest about what it takes to be successful. You are totally correct. You cannot expect to be successful in any business if you are not committed to adding real value. Setting long-term goals and sticking to them are also important. Most people are very shortsighted when it comes to their online business. They expect to see results the next day after they build their website. That just NEVER happens unless you spend thousands of dollars on advertising. And most newbies in online business (e.g. affiliate marketers and bloggers) do not have idle cash laying around to pump into advertising. So building a long-term strategy around useful content, search engine optimization and keyword research are critical for newbies. Regards and good luck in your online business. You’ve put a big smile on my face :). I always like to hear that my readers are enjoying and benefiting from the content I put together. Most of it is based on my personal experience but also includes in depth research. I’m glad that you took away a very important point. Building a solid foundation on tried and tested systems such as search engine optimization (SEO), building out of useful content and keyword research is a sure recipe for success. One guy that I’m coaching said that he was confused why he was not getting any success with his website. After a quick review I realized that he had not built a solid foundation and did not use proper systems. I’ve since set him on the right path and I’m 100% certain that he will see results in time. All the best to you in your online business development. I totally agree with you that your online business is a long term investment. I only realized that after I got started.You have done a good job in not giving your readers false expectation. Some individuals start making money after a few weeks while others took few months. Wealthy Affiliate offers the best training for the online business. I learned so much that I just decided to work with the training and build my business. 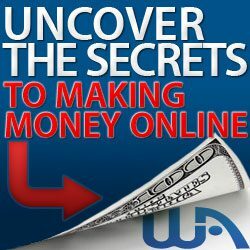 All the tools and training you need is at Wealthy Affiliate to enhance your online experience. I hope your readers will make good use of the opportunity. for your comment and kind sentiments. Yes, you are right. Building an online business is a long-term investment. I too, discovered that building an online business takes time and effort. But as you said, with the tools and training found at Wealthy Affiliate you really can’t go wrong. Glad to see that you are sticking with your online business for the long term. I really appreciate this article and agree completely. It takes time. It’s why you want to be sure to invest your time into something that feeds your passion, so that you’ll be creatively engaged for the long run. Paradoxically, if you’d do something just because you love doing it and would do it for free, that’s probably your best chance at creating and sustaining financial success. We’ll see. I’m about a year into my journey and loving every step! Thanks Kevin for your comment. You are right. It does take time to build a successful online business. That’s why when I see people claiming that they made millions in a few days, I know first hand that they are not being honest. You can make millions with an online business. But you have to build a solid foundation first. 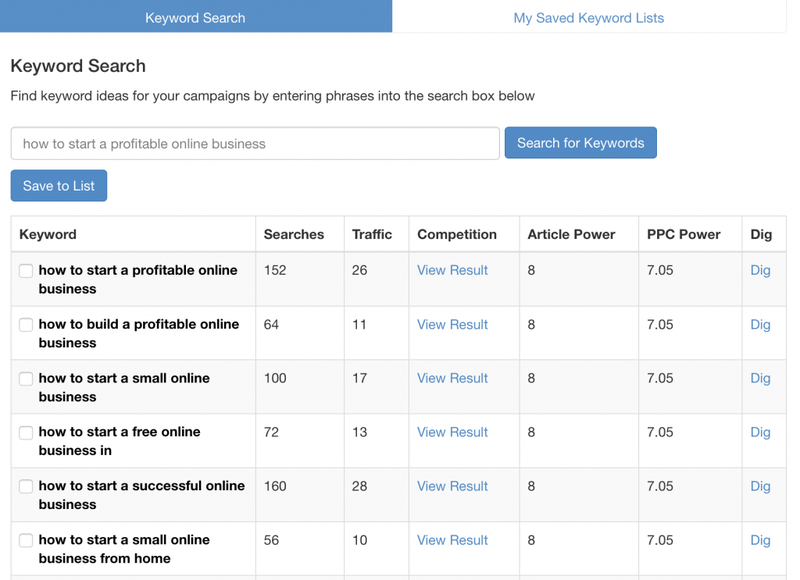 And as I said in my article the best foundation is using tried and tested systems such as building out content using the best keyword research tool for SEO – the Wealthy Affiliate Keyword Research Tool. Kevon, I agree and thanks for this post. Don’t give up on your online business. Get the right TOOLS. With the right training and consistency you WILL be successfully making money online. Wealthy Affiliate offers you great training with all the support you will need to be successful. And as you said in your article, the foundation to any website is the content. And to help you with that, you need a great keyword research tool. I use Jaaxy personally and you can’t beat it. It helps with search engines finding your content to ranking. Very good article. Thanks for your comment. You are totally right, using the right tools, having great content and doing keyword research is a great foundation for a successful online business. I tried both Jaaxy and the Wealthy Affiliate keyword tool and found them to be very similar. In fact, they are both built on the same platform. So I use the Wealthy Affiliate keyword tool as it is included at no extra charge within the Wealthy Affiliate premium membership subscription. Thanks Kevon for the insight. 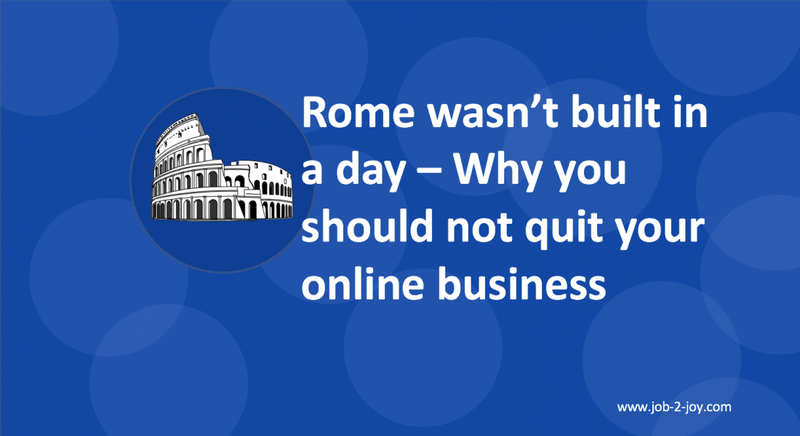 I agree totally, building a online business takes a lot of time and patience. If you go into it expecting immediate results you will likely be sorely disappointed. Thanks for your comment Derek. I agree success is determined by persistence. Hi Kevon, you have no idea how much I appreciate this post. I’m on my way to the online business world and knowing that it takes a while really helps. I mean my expectations are reasonable but seeing someone else mention it makes it a little more real to me. I’ll keep at it. Thanks! Thanks for your comment Andy. I am really glad that you found this post helpful. Building a business does take time. I never understood why people feel it is different with an online business. It is just as time consuming and demanding as an offline business. And in many cases even more so because most new online entrepreneurs do most of the work themselves from building a website to building content to engaging customers. Can I ask you a question. What prompted you to start an online business? Well, I think it’s the most efficient way to reach people and earn a living. You can work from anywhere, and never have to keep up with hardware and software updates. It just made the most sense. What about you? Thanks Andrew. I totally agree with you. Having an online business makes it easy to reach people from all over the world. For example people who frequent my website come from USA, Canada, India, England, New Zealand and many other countries. If I had a store front shop to get these people to visit my business would be virtually impossible or quite expensive. I know what you mean taking a minute to see results. I started getting frustrated around the 6-month mark. But I kept on trying the training with the low hanging fruit keywords and eventually, I started seeing some progress. If it wasn’t for the keyword search tool Jaxxy I would have just been writing content in vain. It is a most needed tool. Yes, I agree with you Ronnie. You really need to use the right tools and strategies. The low hanging fruit or long tail keywords using the WA keyword tool or Jaaxy are great strategies that will help you to build a solid foundation for your business as you have seen first hand. Wise advice especially for anyone starting in this business. Patience is key follow by non stop hard work for years not months! Along with great tips like this, anyone can be successful. Thanks Vince for your comment. You are totally right, patience is one of the keys to success in online business. But so is using the right tools such as the WA keyword tool. Tools and systems are what will get you ahead in this business. Just learning about the whole online business process right now. It is really good to read you and to understand that with the right tools, hard work and patience, things should turn out. I wish I discovered that training program before, it would have saved me a lot of time. It is amazing how much can be learned and done in a short time. Wishing you success ! Thanks for the post.